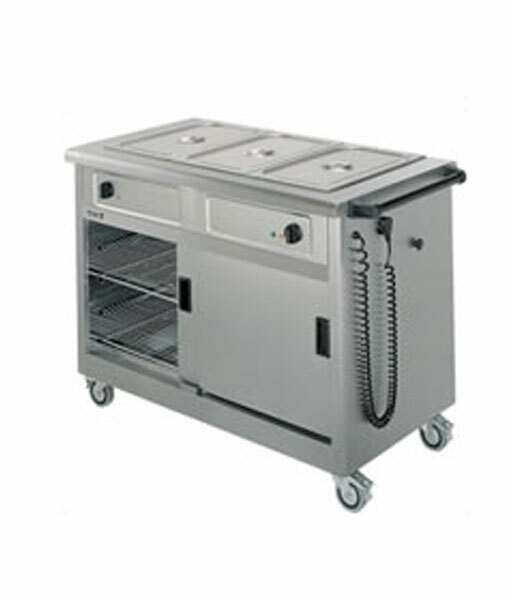 Simmerstat control to bain marie x 2. 2 internal removable chrome wire shelves. Dimensions: W845 x D530 x H975mm. Plate Capacity: 120 x 25cm/up to 20 plated meals. Gastronorm Containers: 4 x 1/3 150mm dp (4 x 5.75L).